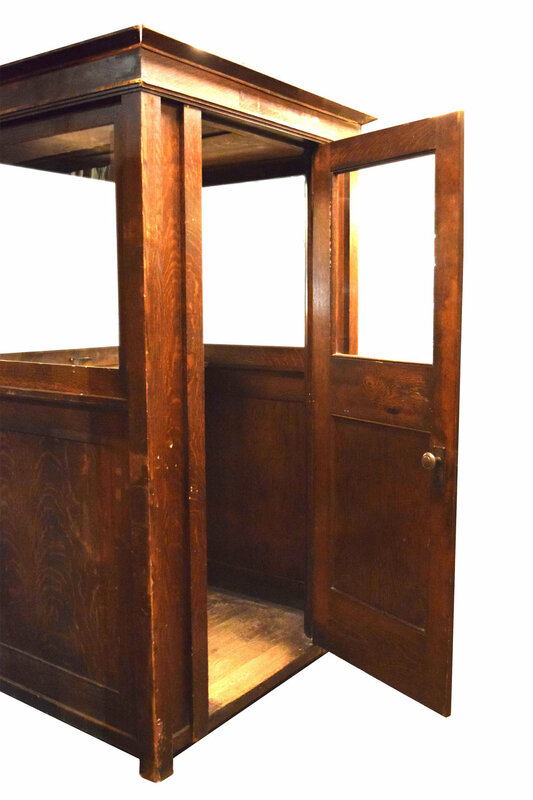 All sides of this amazing oak ticket booth have large windows with simple framing seen inside and out. Every deep brown surface is unique with the grain of the wood on full display. A one foot deep shelf is the work space inside for taking tickets. It also features a full functioning chain sliding frame, meaning the window in front can be lifted up and pulled down depending on your need. Be sure to include the Product ID (AA#48050) when making your offer.